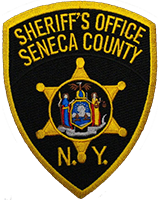 On February 12, 2019, at about 11:00am, Seneca County Sheriff’s Investigators arrested Maria V. Castro, age 31, of 350 Waterloo-Geneva Road, Apartment 6, Waterloo, New York, as a Fugitive from Justice. Castro is currently remanded to the Seneca County Correctional Facility on other matters and is currently wanted by the FBI for Distribution of Controlled Substances in Puerto Rico. Castro was arraigned in the Seneca County Centralized Arraignment Court and remanded back to the Correctional Facility without bail. Castro will be turned over to the FBI at a later date.